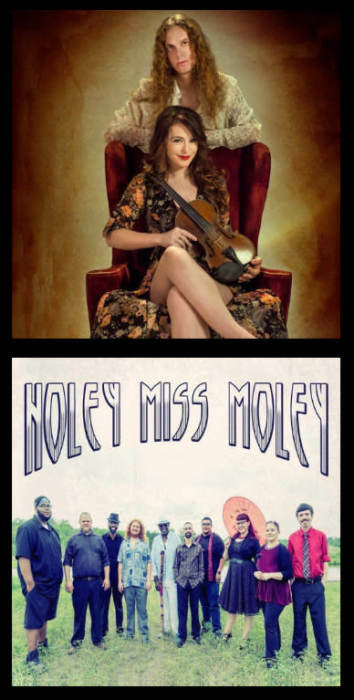 Holey Miss Moley is a funk-flavored rock-soul infused groove factory from central Florida. Holey Miss Moley is a ten piece Funk-Flavored Rock-Soul Infused Groove Factory based out of Everywhere, Florida (St.Petersburg to Orlando to Jacksonville). Their high-energy sound is reminiscent of old school 70's funk, melded with elements of Disco, Jazz, Soul and Hip-hop creating a superb fusion that delights and energizes the crowd getting people up and dancing all night! The band has spreading their wings throughout Florida playing festivals like Hulaween, Orange Blossom Jamboree, Connection Festival, Roosevelt Collier's Getdown and Zach Deputy's Disc Jam at Suwannee, Tropical Heatwave, Earthdance, MindSpring, The Great Outdoors Jam and Hometeam events. March 1st, 2017 - HMM hit the road for their 11 state, 38 venue 'Shake It With Me' Tour. Check the event pages, we may be coming to a city near you!